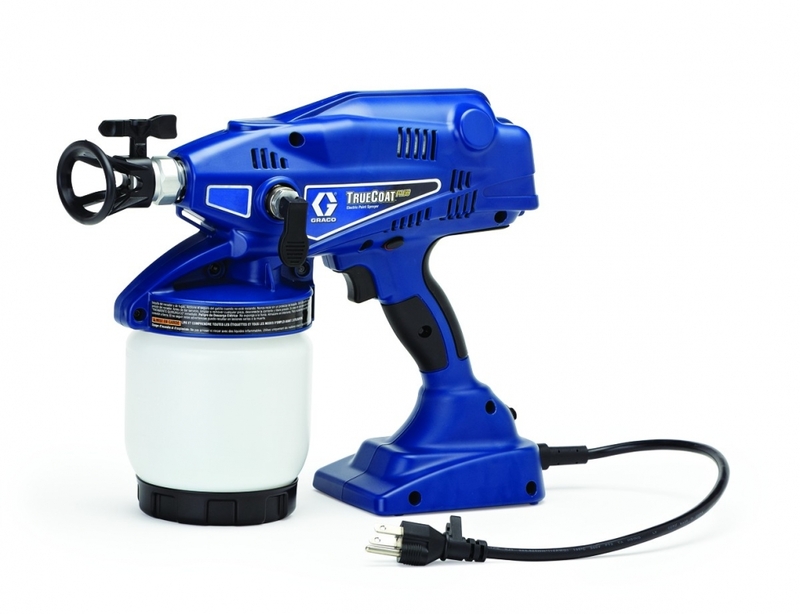 The Gracoâ¢ Hand-Held Electric Paint Sprayer gives you the power and freedom to spray wherever you want. It is ready to spray in seconds, and does so in a wide variety of coatings, from stains to heavy latex and acrylics. The sprayer is equipped with a tilt-n-spray 32 oz paint cup. This unique cup design allows spraying in any direction. The sprayer is ideal for interior/exterior and specialty applications. It sprays material as designed by the paint manufacturer â no thinning required. For consistent, even spray pattern for one-pass coverage, you need the Gracoâ¢ Handheld Electric Paint Sprayer.